Whether you’re raising the next Major League Baseball slugger or you’re looking to improve your own hitting power for your rec league, a custom batting cage can help you or your young athletes accomplish your hitting goals. Our batting cages are the perfect solution for baseball players, softball players, and even T-ball players looking for a little extra practice, and the netting will be customized to fit your dimensions and specifications. Your teammates will be lining up for extra batting practice! Sport Court Carolina provides custom batting cages and netting designed to help players of all ages and skill levels increase their batting averages. Our high-quality netting is not limit for baseball sports. We offer the same quality netting as well for other balls sports. We have an adjustable net that you can use for multi sports. 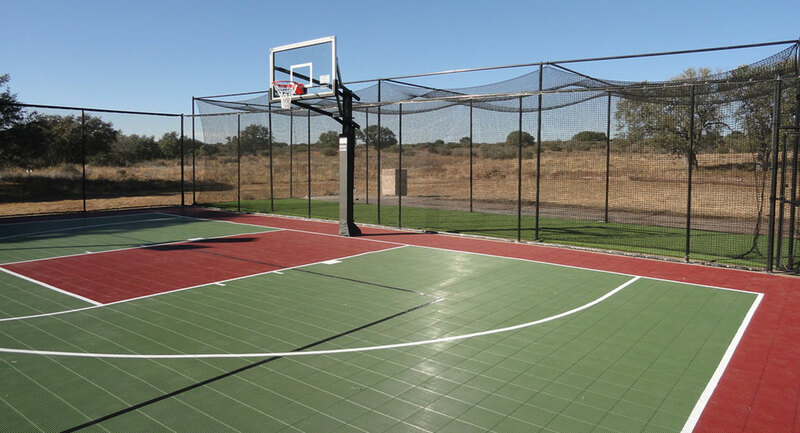 Ideal for multi-sport Courts! Set it up low, you can use it for tennis. Put it higher, and you can grab your volleyball to play the sport. Contact us for all your questions about netting! !